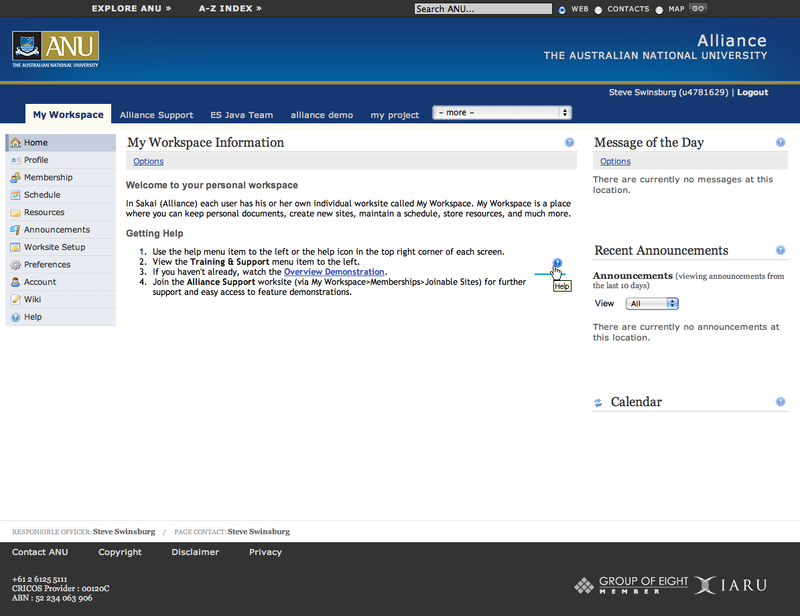 I am very pleased to announce that The Australian National University has recently completed a major upgrade to Sakai (which we call Alliance), moving from Sakai 2.4 to Sakai 2.6. We have also deployed several new tools including Profile2, Site Stats and the Wimba integration as well as a number of other new features that are coming in Sakai 2.7. We also heavily customised the portal and completely redeveloped the skin in line with the new ANU branding which is progressively being rolled out this year. Alliance is the first major application at ANU to go live with the new styles and is a testament to the ability for us to customise the Sakai portal and styles as much as we required. For any detailed information on our upgrade, toolset or modifications, please feel free to contact me directly.